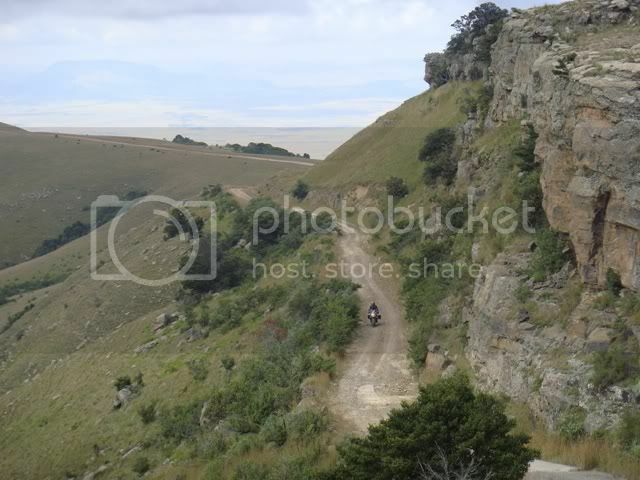 Photo was taken in Swartbergpass on the Prins Albert side. Someone else throw us a photo please. Cannot wait for the answer. Nice one Knopkop. I will take a wild guess Knopkop. Somewhere in Transkei? I also thought so but my mind tells me that going down the pass the mountain is on your right hand side. This one goes down and the mountain is left? But it does look like KZN.. This was taken on the way up. Is die dalk 'n Trick question ?? Dis nie dalk bo op Normandien Pass op pad na die Viewpoint toe nie? Ek weet Normanien het twee dele, hierdie is bo op die tweede een? As dit so is, dan is my foto van die punt daar ver af geneem. As the crow flies, 336km from Pggs Peak and 125km from Sani Top.